Are Scented Candles Making Your Home Toxic? Sometimes, it seems like nothing else will freshen up your home like a deliciously scented candle. They come in tons of different scents to tickle your fancy, from cupcakes to berries to a pine forest, and can positively impact your mood while working to whisk away the seeming presence of stale air. However, as with everything else we enjoy, we have to wonder — are we paying a price with our health when we enjoy scented candles? Let’s take a look. When you burn a candle, the wax melts and eventually dwindles down to nothing, but the scent-heavy construction of the candle itself has to go somewhere, right? It makes sense that it could linger in the air and potentially impact the human body in some way or another. The EPA did an extensive study in 2001 that examined candle-burning and how it relates to human health, and while they did find that scented candles did tend to produce more soot, the evidence that other chemicals expelled during candle-burning may be bad for our health is inconclusive. However, the National Candle Association refutes the claims that there are any dangers to candle-burning — scented or not. In their FAQs, they note that candles are subject to regulations for consumer products and that a well-made and properly burned candle will burn cleanly and safely. “The fragrances approved for candle usage — whether synthesized or ‘natural’ — do not release toxic chemicals,” their site reads. Aside from chemicals that may cause health problems, there are aspects of candle-burning that can adversely affect us in other ways. We spoke with Dr. Tania Elliott, a board-certified allergist and immunologist who is on faculty at NYU School of Medicine, to see what health impacts, if any, may lie within our cake-scented candles. And while the National Candle Association says there isn’t a safety difference between candles made with synthetic ingredients and those made with natural ones, if you’d prefer to go with the more natural type, there are plenty available on the market today. Gorgeous candles made by Union + Dixie, for example, are made with coconut wax and essential oils. Beeswax candles are another alternative, such as those from Mountain Rose Herbs. In essence, if you want a more natural candle, avoid paraffin wax and synthetic fragrances and look into soy or other waxes and even look for a more natural wick, like one made from hemp. 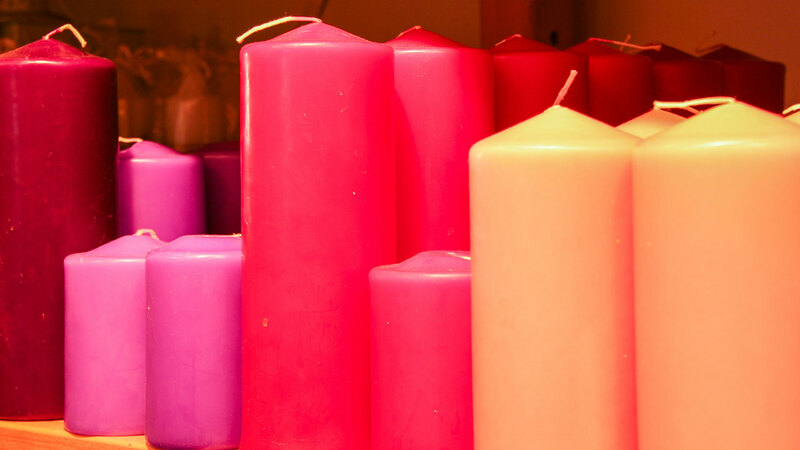 One of the most important things to keep in mind, however, is that candles must be used safely — with proper supervision at all times and with adequate ventilation. Also, don’t keep one burning during your every waking hour. Even if it doesn’t seem to bother you, it may be irritating your respiratory system and you may not even be aware. Further research needs to be done to completely vindicate scented candles, but in the meantime, use them sparingly (just in case) or explore alternatives.